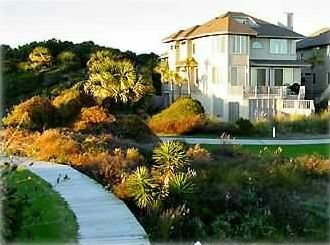 Sea Glass Dunes your home for your next South Carolina Lowcountry vacation is located at 42 Linkside Villas! 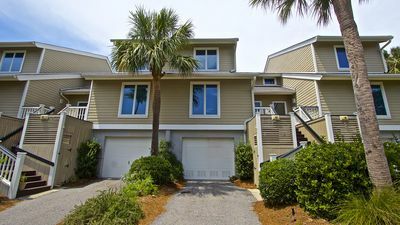 This wonderful three bedroom, three bath home is located on the famed 15th fairway of the Wild Dunes Links Golf Course. 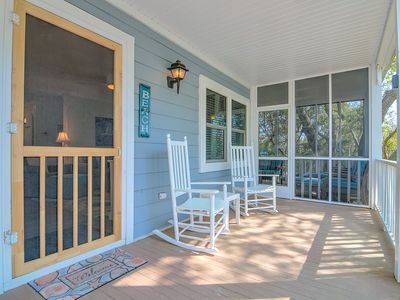 Beautiful views of the golf course and the Lowcountry tidal marsh are provided in the dining room, kitchen, and master bedroom which feature a private deck! “Sea Glass Dunes” is located in the Linkside Villa Community, which features a swimming complex as well as a tennis courts exclusive to guests staying within the community. 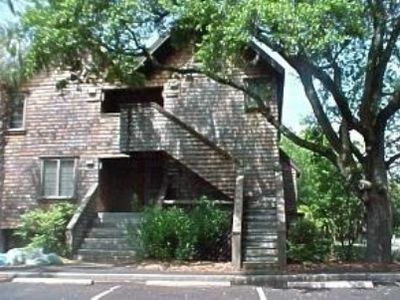 Beach access is a short walk away, along a lovely sidewalk that takes you by one of the two Tom Fazio designed golf courses. The Wild Dunes Links Golf Course Pro-shop and driving range is just around the corner from Sea Glass Dunes. At the Links Pro-Shop, you will be able to purchase the latest in golf gear, tweak your game with private lessons, and enjoy a meal at the new Huey's Southern Eats restaurant. Just past the Pro-Shop, is the beach access path to Port-o-Call. 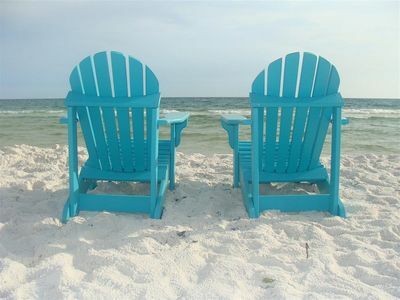 Where the golf, beach and pool will create excellent “memories” of your vacation by the sea. This amazing home features Brazilian cherry floors throughout the house, which are absolutely gorgeous. Every bathroom has been completely renovated with beautiful tile work and granite surfaces. The master bathroom is truly breathtaking with its over-sized whirlpool bath and separate shower. In addition, the kitchen has been upgraded with granite surfaces, stainless steel appliances and is exceptionally equipped. 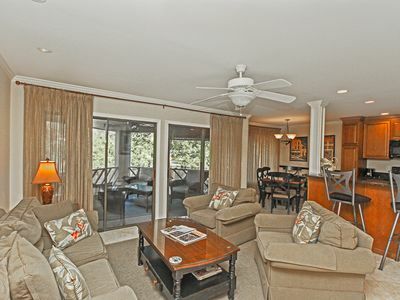 The living room is spacious and comfortable featuring a huge 60 inch television and newly upholstery sofa and chairs. Best yet Sea Glass Dunes features two bedrooms with king beds (master bedroom offers an additional sofa-bed) and one with a queen. Finally, the entire home was repainted in 2015! 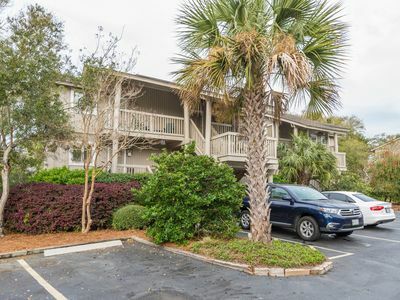 Located on the north-east end of the Isle of Palms, Sea Glass Dunes is a short walk from many of the amenities of Wild Dunes Resort, including two golf courses, day-spa, playground and six restaurants. 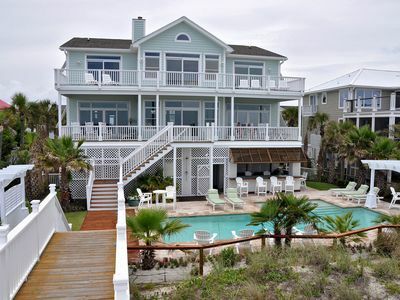 The Isle of Palms Marina is a ten minute drive from Linkside Villa. There is so much to do at the Marina from renting a wave runner, paddle board and kayak adventures, Eco tours of the tidal marsh and uninhabited islands north of the Isle of Palms, fishing charters, boat rentals, and a well-stocked marina store with two wonderful restaurants. 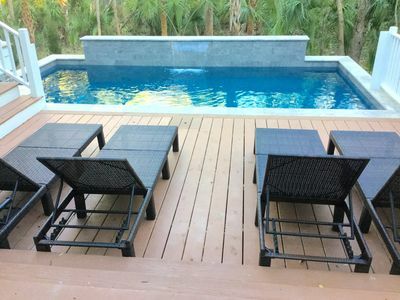 Upon a confirmed reservation of this property, you will be eligible for discounted stays at The Quarters on King, a luxury, boutique hotel in Downtown Charleston, managed by King and Society. Details will be outlined in your rental agreement. 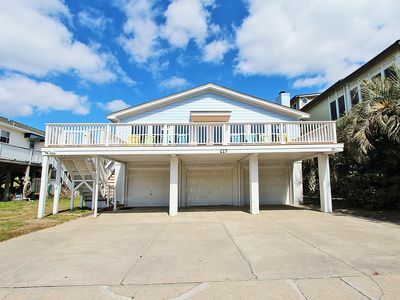 Beautiful First Floor Villa- Walking Distance To The Beach & Shops at Town Center!